BaseTM Batten plated EPS underfloor heating System specifically designed to fit directly to sub-floor construction. 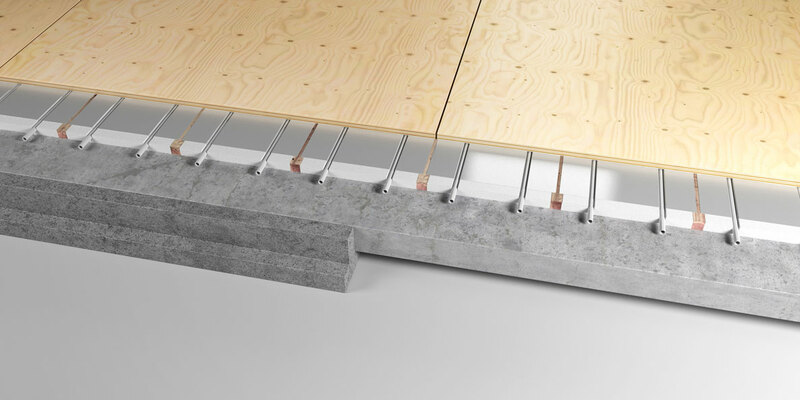 This underfloor heating system has a low system build up of only 30.5mm and with the Aluminium heat diffusion plates, it offers high heat conductivity and quick system response. BaseTM batten plated underfloor heating system to incorporate 16mm PEX pipe. Pipe to be installed to aluminium diffusion plate and pre-grooved rigid EPS insulation panel. Battens to be fixed to sub floor in accordance with pipe layout design. Aluminium heat diffusion plate to be fixed directly into pre-grooved EPS insulation panel. EPS insulation panel to be routed as required allowing pipe installation in accordance with design layout.